The project "Remote Controlled Blimp with Video Surveillance" is a joint project between several Multimedia University academicians as an Interactive Installation for the DA+C Festival 2011 (Digital Art and Cultural Festival) mainly from 15 to 17 July 2011 at Suffolk House, George Town, Penang, Malaysia. 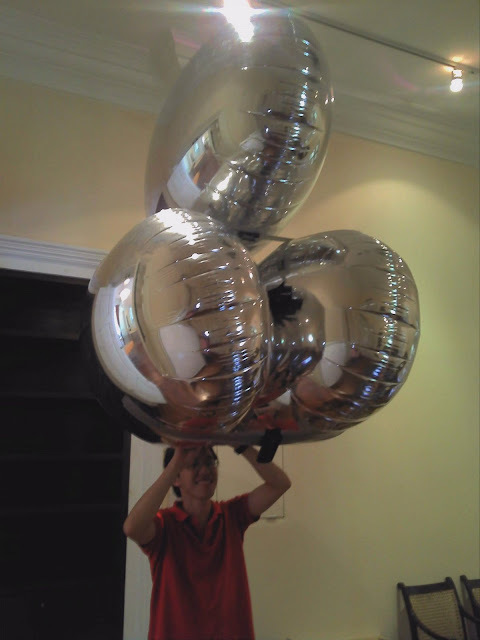 The project is named "FRANC" as a tribute to Captain Francis Light (notice that the name Francis Light can be separated into "Franc is Light", hence the name of "Franc" which refers to the Helium-filled blimp which of course is lighter than the air, therefore "is light". The main focus of the project is to continuously provides the birds' eye video feed of the interior of Suffolk House. 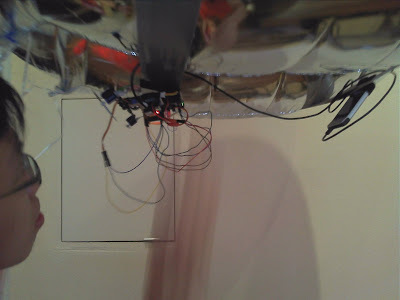 The indoor blimp is mainly based on Blimpduino project from DIY Drones. 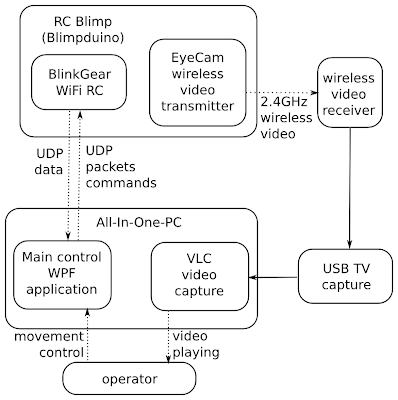 The wireless control is however not done using regular radio-controller gears but via BlinkGear BlinkRC, so that the control signals can be sent directly from a PC via UDP data packet. 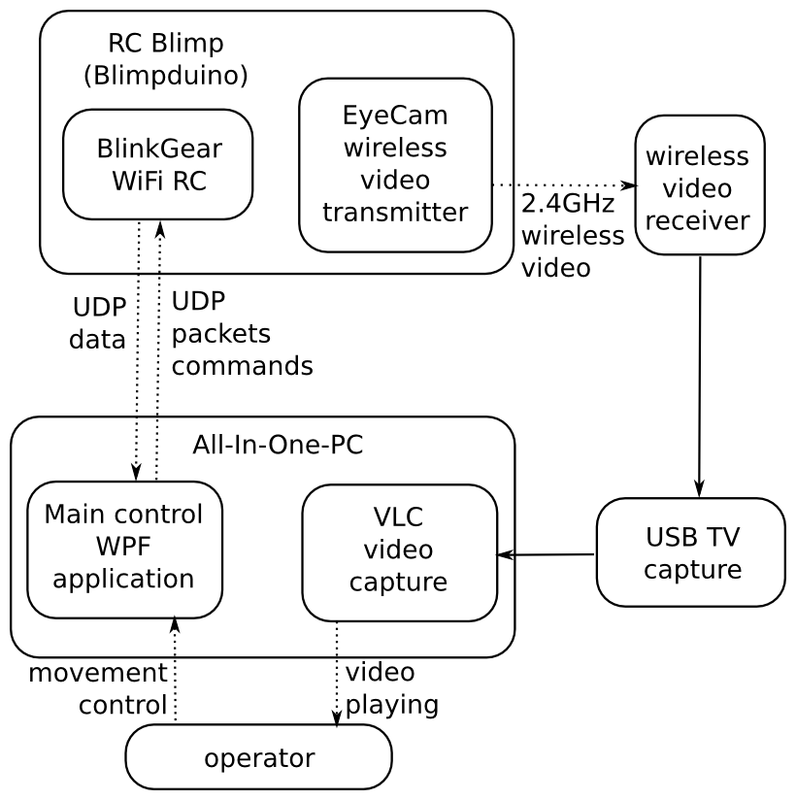 The EyeCam 2.4GHz wireless video transmitter provides the aerial video which is captured by a USB TV Capture device and eventually streamed in VLC player on the main PC. During initial testing, there are problems discovered with the first design. The EyeCam wireless video requires line-of-sight and is very susceptible to interference (various 2.4GHz signals from WiFi, Bluetooth etc.). The BlinkRC also sometimes fails to connect but eventually we discover that there is a loose connection on the BlinkRC PCB board and is finally fixed. However FRANC version 2 is still being developed as a backup. 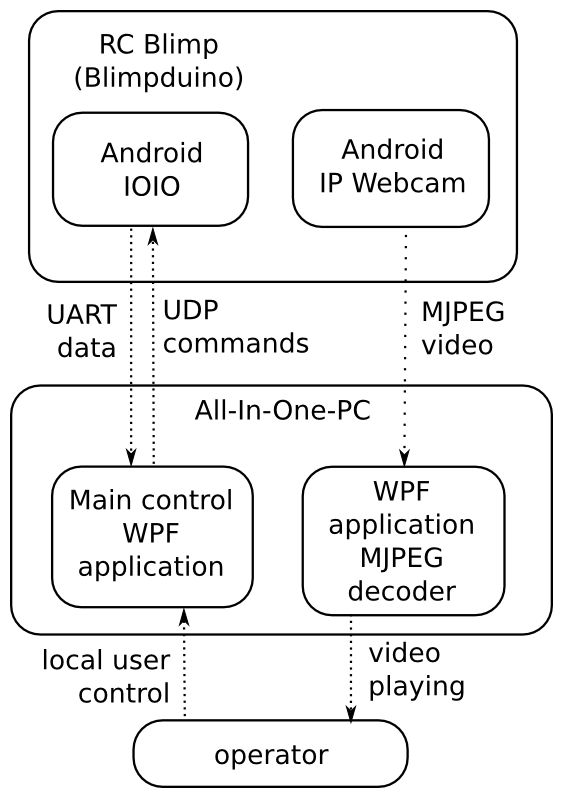 An Android application has been developed to receive the exact same UDP data packets as in Version 1 to drive the blimp. The PWM signals to drive the motors are sent out from an IOIO board which connects to the Android phone via USB using the ADB protocol. 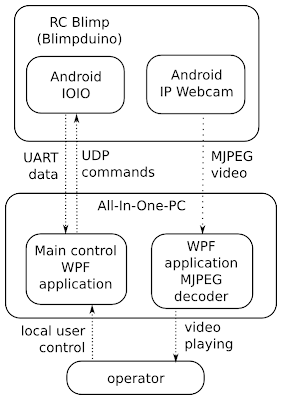 An existing Android application "IP Webcam" is used to stream the video capture. The major problem with this design is the larger weight of an Android device (HTC Legend) with USB cable which requires more blimp envelopes. Redesign the circuit board by integrating the Blimpduino circuit and the IOIO circuit. Nice blimp perhaps my next project. Ever considered a space balloon with a drop guided aircraft ?